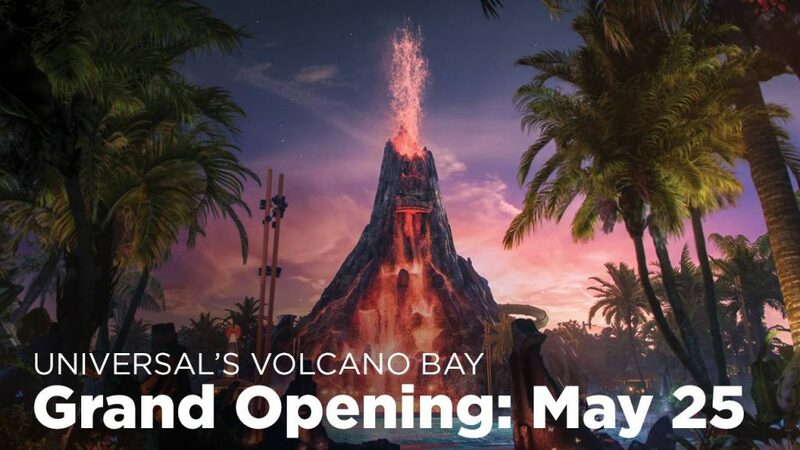 What’s coming to Volcano Bay? 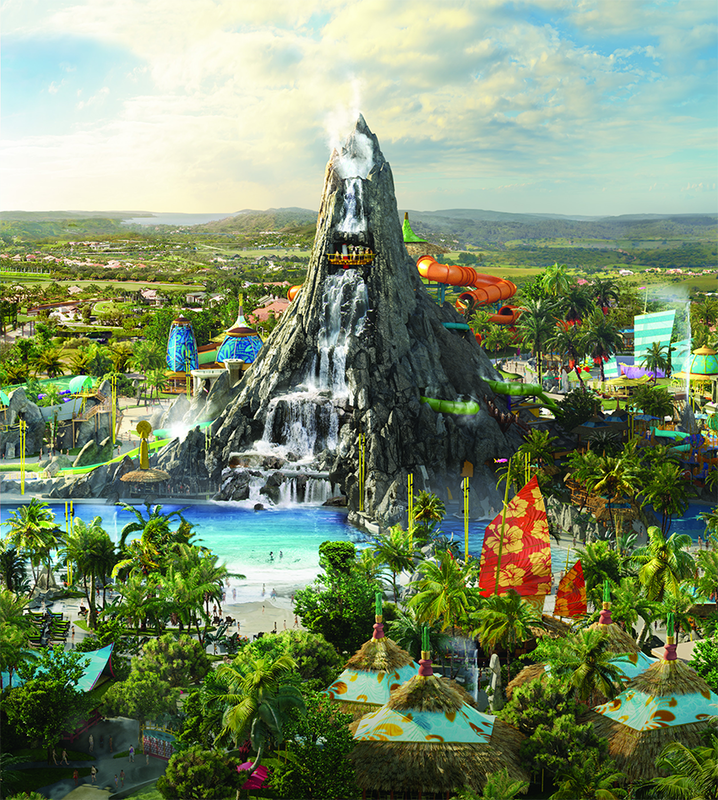 Volcano Bay is Universal Studios Orlando’s third theme park and it is destined to change how guests experience water parks. 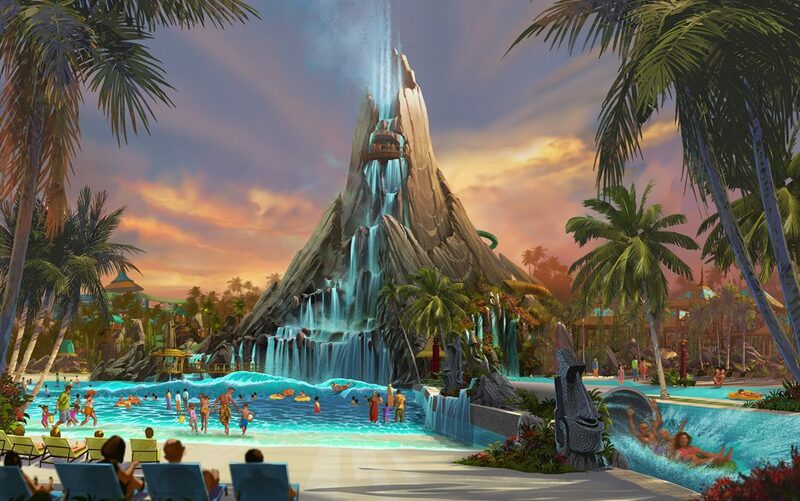 Volcano Bay touts using new technology to make this the most technology advanced water park in the world. “Here, there is no standing in long lines, no wrestling with tubes, no waiting for the fun to begin.” Parents will be telling their kids, back in my day we had to carry the tub up 200 stairs each time we wanted to ride. Universal’s Volcano Bay park’s goal is to make sure you have more time to have fun and enjoy the park. Where is Volcano Bay located? : Volcano Bay is at Universal Studios Orlando Resort in Florida. The park is the third Universal Studios park on property and is situated between Universal’s Islands of Adventure and Universal Studios Florida. This makes Universal Studios Resort a perfect place to spend a multi-day vacation. Volcano Bay is broken up into villages which I love. Each village has different rides and attractions. First you find yourself going up a cliff side and then plummet down the waters of Ohyah. You end up dropping out four feet above the pool below. If you are up for a challenge you can brave the rope bridge and plunge down Ohno, which is a serpentine adventure that ends six feet above the pool below. If you like family raft rides you need to check this out! This six-person rafting adventure is a favorite of Waturi families, but it’s not for the faint of heart. Choose one of two paths or try them both— just be ready for a thrilling ride. Puihi (Wild) careens through a dark, winding tunnel before the stomach-flipping thrill of zero gravity hang time. Maku (Wet) slides you through a deep volcanic gorge before spinning wildly around bowl-like formations. Up for an adventure? Take a thrilling whitewater ride along TeAwa, The Fearless River. Race along a roaring, watery onslaught of churning rapids and choppy waves hanging tight to your inner tube. There’s a place where the puka trees grow abnormally tall. Inspired by their twisting roots, the Waturi built four twisting water slides called the Taniwha Tubes. Riders can try all four twisting tracks, but beware—mischievous Moai statues spray jets of water when you least expect it. Let’s head over to the next village, the River Village. The River Village is fun for everyone but it’s focus is on the little ones. Just like the ancient Waturi people who rode the ocean waves on friendly sea turtles and whales, guests can enjoy these two twisting, turning, multi-person slides. Honu (the sea turtle) sweeps up two massive walls, while Ika Moana (the whale) sprays water on riders from the center of the raft. The little ones can frolic among the splashy slides and fountains of the Tot Tiki Reef toddler play area, while Runamukka Reef delights older children with its bubbling geysers, water guns, slides and dump cups. of water surprise along the way, and beneath the lava rocks, Stargazer’s Cavern reveals the magical night sky above. The Volcano is the center piece of Volcano Bay and this is where you are going to find the coolest water rides in the world! At the heart of the island, Krakatau,™ the mighty Fire and Water Volcano, towers 200 feet above the tropical landscape, streaming waterfalls during the day and fiery lava effects at night. Inside the cavernous volcano, the Waturi people dare you to brave a variety of pulse-pounding water slides. Join in the centuries-old tradition of honoring the volcano god, Vol, by braving the incredible Ko’okiri Body Plunge. Featuring a 70-degree fall through a drop door and 125 feet of screaming, white-knuckle fun, this dizzying descent ends with a watery tribute from Vol himself. Join Kala and Tai Nui where sea and sky meet and take a leap of faith from high atop the volcano. Twin trap doors simultaneously drop two guests down clear, intertwining tubes before sending them joyfully splashing into the turquoise waters below. A favorite among Waturi children of all ages, Punga Racers send single riders on their manta ray mats sliding down four lanes through underwater sea caves. The wave village is at the base of the volcano and this is a perfect spot to pick out a lounge chair on Waturi Beach. Start Planning Your Universal Orlando Vacation Today! Get a free quick quote now. Universal Studios Splash, Stay, and Play Vacation Package SAVE UP TO $100 § when you see all three theme parks. Who get our Vacation Deals Newsletter Delivered right to their email so they never miss a Discount.